Clarke & Sampson believes in giving back to the community we serve. For over six decades, we have donated to worthy charities in the Alexandria, VA / Metro Washington, DC area. Our staff volunteers in many local activities as well. We are proud of our ongoing commitment to the community and honored to assist organizations who make a difference in the lives of so many in our area. 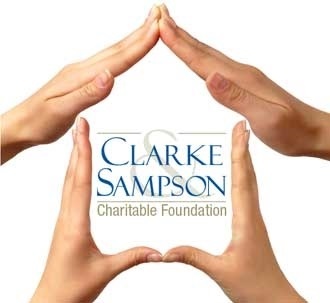 In the spirit of giving back and making a difference, we have created The Clarke & Sampson Charitable Foundation. The focus of our foundation's giving is on charitable organizations whose mission it is to assist with the health and well being of individuals and to those who directly assist with housing related needs. If you represent an established 501(c)(3) nonprofit that fulfills a role in these areas and would like to be considered for a donation please complete our charitable request inquiry form. Thank you for your interest in The Clarke & Sampson Charitable Foundation.